Miguel Saco Fine Furniture & Restoration, Inc.
Mr. Saco has a passion for and has been actively involved in the Fine and Decorative Arts since his early youth. An accomplished artist in his own right, he later became the cultural coordinator of the ICO Foundation (the financing agency of the Spanish Government). During his four year tenure he was responsible for putting together important art collections which included Picasso and other Twentieth century Spanish masters and curating exhibitions of note around the world. After traveling extensively throughout Europe, he settled in N.Y. City in 1982. Mr. Saco’s formidable technical expertise, educated eye and artistic sensibility have earned him a brilliant reputation in both the United States and Europe. 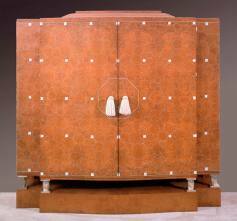 Over the years, he has restored numerous masterpieces by the foremost cabinetmakers and furniture designers; most of these are now housed in museums and important private collections throughout America. He has collaborated with The Spanish Historical Landmark Commission on many major restoration projects, including Madrid’s Royal Palace and Palacio Linares. 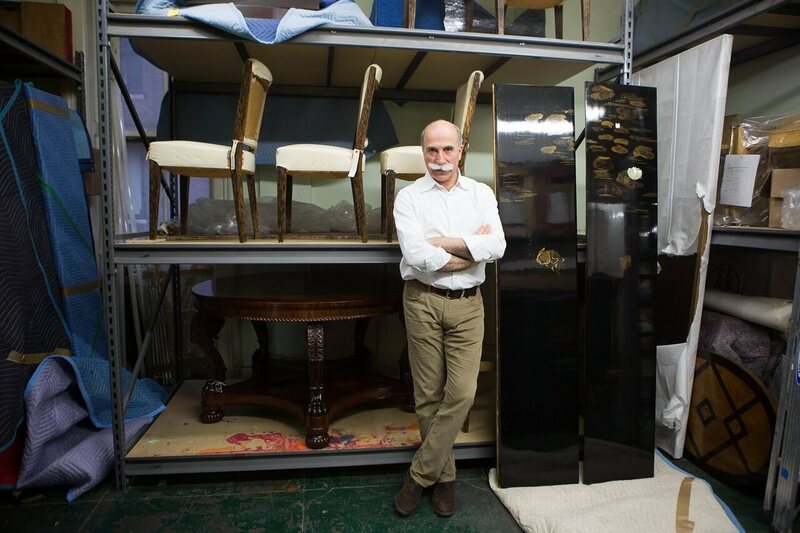 Miguel Saco, in his East 18th Street studio, standing next to two Jean Dunand panels from the 1930s. Photo: Cassandra Giraldo for the Wall Street Journal. 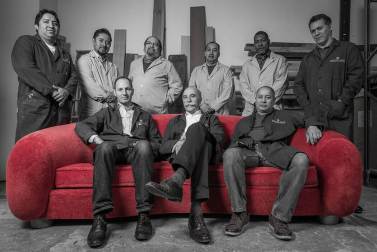 Miguel Saco Fine Furniture & Restoration, Inc. is dedicated to furniture conservation and restoration of ultimate museum quality. Miguel Saco, its principal, is a preeminent conservator and restorer and a highly regarded expert in the Decorative Arts field. Saco has served on the vetting committee at the former International Art and Antiques Fair in New York as well as the Winter Antiques Show. He is also part of the vetting committee for spring TEFAF New York and TEFAF Maastricht.